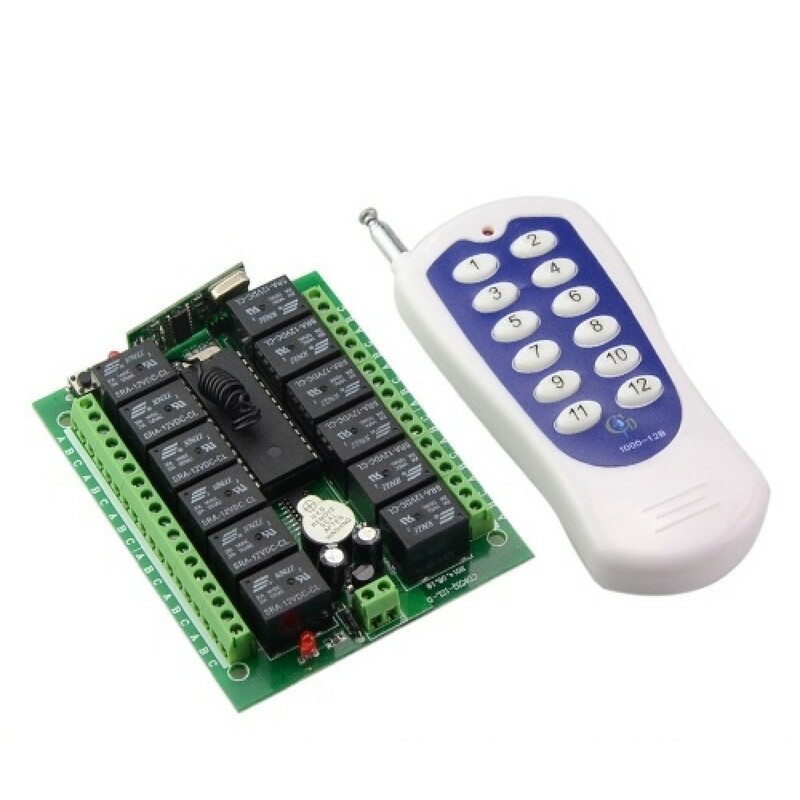 This kind of wireless intellect receiving control main apply to auto door, curtain, lifting appliance, gate way, lifter, industrial control and security field. This kind of wireless receiving control is high confidentiality, large memory space, stable characteristics, low power consume and very convenience, it is unnecessary adopt the traditional wire jumper or dip switch code but only receive and store the wireless signal from the remote control, and The lost learnt control can not work if you delete the memory message of the receiving control, however, it should learning again by the owner if want to obtain the right of use. Momentary------------Press the Transmitter button 1, the receiver relay 1th is ON, release button 1; the receiver relay 1th is OFF, the same as 2/3/4/5/6/7/8/9/10/11/12. 12CH are independent. 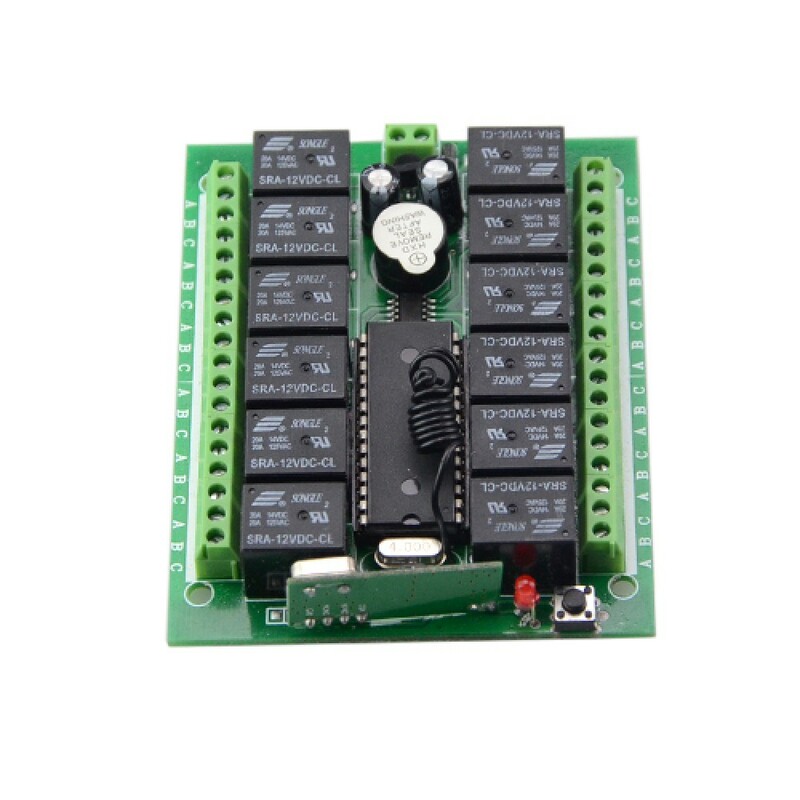 Toggle---------------Press transmitter button 1 for 1 time, the receiver relay 1th is ON, press button 1 again, the receiver relay 1th is OFF, the same 2/3/4/5/6/7/8/9/10/11/12. 12CH are independent. 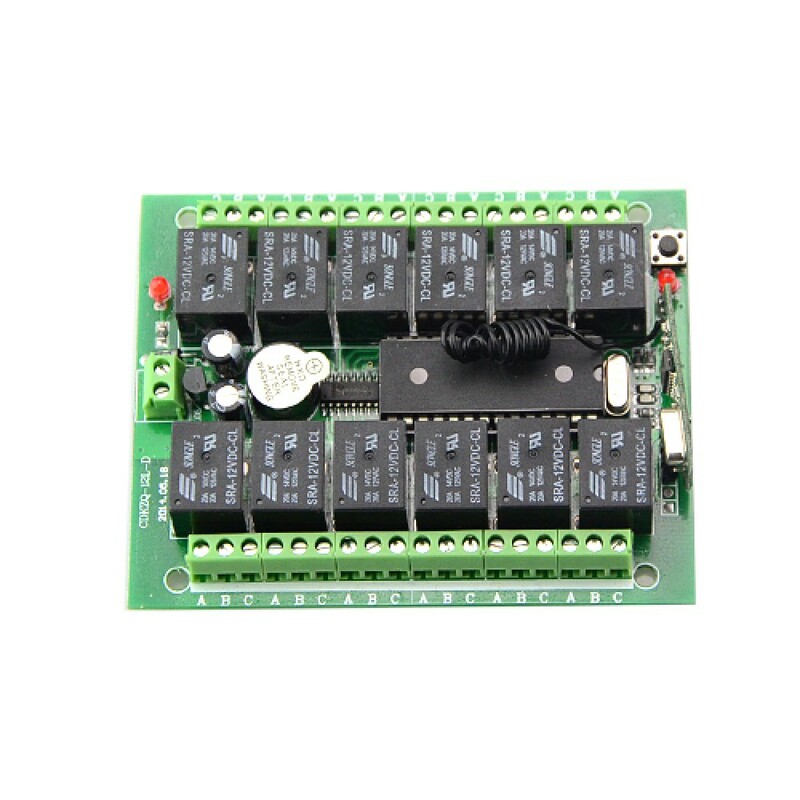 Press transmitter button 1, the receiver relay 1th is ON, the relay 2/3/4/5/6/7/8/9/10/11/12 OFF. Press transmitter button 2, the receiver relay 2th is ON, the relay 1/3/4/5/6/7/8/9/10/11/12 is OFF. Press transmitter button 4, the receiver relay 4th is ON, the relay 1/2/3/5/6/7/8/9/10/11/12 is OFF. It also mean .Latched only can keep 1CH ON .and it will often have 1CH is ON. 2. Press the Relative button of the transmitter to learn Relative output way, indicate learning success as the buzzer tweet “Be Be Be” 3 sounds ,and then you press the transmitter Button you can hear the relay act sound. The receiver automatically exits learning state if you do nothing in 32 seconds. Keep pressing the learning Button of the receiver, the buzzer buzzer tweet and “Be Be Be Be “ (please do not wait for it Be for 6 sounds) then release the button , indicate success to delete the memory message.